Q. How can I get indulgences. As a former Protestant I’m still learning the Catholic faith. Can indulgences keep me out of purgatory? If I have to go there it’s apt to be a long sentence. I’ve got a lot of sin and I’ve done confessions but still sin. I’m a rough kind of guy, trying to get to Heaven. Needs LOTS of these indulgences. Please help. A. Well, you’re also a very honest kind of guy. It’s good that you are aware of your sin, that’s the first step to receiving God’s mercy. This seems like a strange subheading for this chapter, but it’s true. Forgiveness is not enough to grow holy. Here is a classic question that illustrates the point. Often it is asked whether someone will go straight to Heaven if they go to confession, confess all their sins, and as they walk out of the church have a heart attack and die. They were just forgiven so this must mean they go straight to Heaven with no time in Purgatory! Right? Wrong. The Sacrament of Reconciliation does in fact forgive all our sins. For that reason, someone who goes to confession and dies prior to committing an unrepented mortal sin will, indeed, go to Heaven. But getting into Heaven also requires something else. It requires complete freedom from all attachment to sin! And that’s a tall order. Sin not only hurts our relationship with God, it also strengthens our “relationship” so to speak with sin itself. In other words, the more we sin, the more we are attached to sin. Confession forgives our past sins, and helps us overcome future sins, but we do need additional grace to be freed from the “attachment” we experience. For example, say someone is a habitual liar. They have become so used to lying that they do it for no real reason. The habit is deep and strong and they practice it daily and throughout the day. Now let’s say that person goes to confession and receives forgiveness for all past sins of lying. That’s excellent! But does this mean that as soon as the person walks out of the confessional they have also completely broken the habit they have formed? Certainly not. Most likely, within a few hours, they will be tempted to lie again simply because the habit is strong within them. This fact reveals to us that forgiveness is not enough, we also need a special grace to help us become detached from all tendencies toward sin. And this is where an indulgence comes in. “An indulgence is a remission before God of the temporal punishment due to sins whose guilt has already been forgiven, which the faithful Christian who is duly disposed gains under certain prescribed conditions through the action of the Church which, as the minister of redemption, dispenses and applies with authority the treasury of the satisfactions of Christ and the saints” (Paul VI, apostolic constitution, Indulgentiarum doctrina, Norm 1). Now there is a lot packed into this statement which may be confusing. So let’s look at it one piece at a time. Temporal Punishment: First of all, punishment due to sin is either eternal or temporal. Eternal punishment (Hell) is removed in confession, but temporal punishment remains. This language can be misleading. This is not a punishment from God. It’s not as if God says, “Because you did this you deserve 10 years in purgatory unless you make up for it now.” The “punishment” is “due to sin.” In other words, sin itself imposes a punishment upon us. What is that punishment? It’s attachment to sin. By sinning we become attached to the sin through our habit and this attachment is a punishment from the sin itself. God wants to break that attachment. The grace of an indulgence is specifically for this purpose. Prescribed Actions of the Church: All grace comes from God, but the Church is given the authority to dispense the grace of God through certain means. An indulgence is one of those means. Therefore, when the Church says that certain actions open the warehouse of grace, we can be certain that this is true. For example, one of the indulgences offered by the Church requires the following: Make a holy hour before the Blessed Sacrament, go to confession within seven days of that holy hour, receive communion within seven days, and pray for the pope. Upon the completion of these requirements we can be certain that all the grace we need to completely detach from the sins we confess is given to us. That’s right. The grace is there. Interior Disposition: But there is one catch to the above explanation! We have to be open to that grace if it is going to have an effect in our lives. And this is the most important part to remember (and the most difficult to fulfill). To illustrate, let’s go back to our earlier example. Say a person went to confession, completed the requirements of a full indulgence, and THEN walked outside and was hit by a car and died. Does the indulgence mean the person went straight to Heaven? Maybe, but probably not. 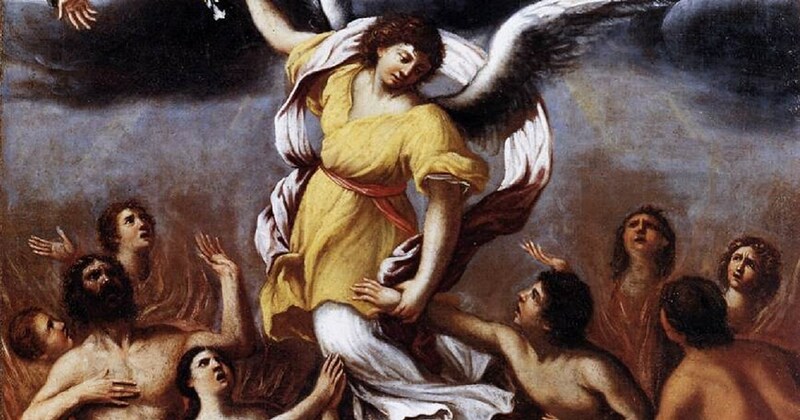 The person would go straight to Heaven, bypassing Purgatory, if, and only if, that person’s heart was ALSO perfectly open to the infinite grace given through this indulgence. Forgiveness of sin is certain. Therefore, Heaven will happen. But whether one goes to Purgatory or not depends on how open the person is to completely detaching from all sin and all tendency to sin. This is the grace the indulgence seeks to give if we are willing to receive it. And if we do fully open our heart to it, this means we have completely converted to God and are perfectly in His grace. This, of course, must be our goal! Types of Indulgences: An indulgence is either “partial”or “full.” “Partial” meaning some of the grace needed for the full conversion is given, and “full” meaning that all of the grace needed is made available if the person’s heart is fully open. So this is the glorious and transforming Sacrament of Penance, Reconciliation, Confession, and Forgiveness. It’s a gift so many fear, but a gift we ought to love. Examine your approach to this sacrament and let God speak to you, draw you to it and help you fall in love with it. If you do, you’ll find that this is one of the best ways available to encounter the love and mercy of our perfectly loving and merciful God! The following teaching on Purgatory is taken from the My Catholic Faith! book – Chapter 8 – The Glorious and Final Things! The Church Suffering: Purgatory is an often misunderstood doctrine of our Church. What is Purgatory? Is it the place we go to be punished for our sins? Is it God’s way of “getting back at us” for the wrong we’ve done? Is it the result of God’s anger? None of these questions really answer the question of Purgatory. Purgatory is nothing other than the burning and purifying love of God in our lives!When someone dies in God’s grace they are most likely not 100% converted and perfect in every way. Even the greatest of saints would have some imperfection left in their lives. Purgatory is nothing other than that final purification of all remaining attachment to sin in our lives. By analogy, imagine that you had a cup of 100% pure water, pure HO. This cup will represent Heaven. Now imagine that you want to add to that cup of water but all you have is water that is 99% pure. This will represent the holy person who dies with just some slight attachments to sin. If you add that water to your cup, then the cup will now have at least some impurities in the water as it mixes together. The problem is that Heaven (the original cup of 100% HO) cannot contain any impurities. Heaven, in this case, cannot have even the slightest attachment to sin in it. Therefore, if this new water (the 99% pure water) is to be added to the cup, it must first be purified even of that last 1% of impurities (attachments to sin). This is ideally done while we are on Earth. This is the process of getting holy. But if we die with any attachment, then we simply say that the process of entering into the final and full vision of God in Heaven will purify us of any remaining attachment to sin. All may already be forgiven, but we may not have detached fully from those sins which were forgiven. Purgatory is the process, after death, of burning out the last of our attachments so that we can enter Heaven 100% freed of everything to do with sin. If, for example, we still have a bad habit of being rude, or sarcastic, even those tendencies and habits must be purged. How does this happen? We do not know. We only know it does. But we also know it’s the result of God’s infinite love that frees us of these attachments. Is it painful? Most likely. But it’s painful in the sense that letting go of any disordered attachment is painful. It’s hard to break a bad habit. It’s even painful in the process. But the end result of true freedom is worth any pain we may have experienced. So, yes, Purgatory is painful. But it’s a sort of sweet pain that we need and it produces the end result of a person 100% in union with God.Now since we are talking about the Communion of Saints we also want to make sure to understand that those going through this final purification are still in communion with God, with those members of the Church on Earth, and with those in Heaven. For example, we are called to pray for those in Purgatory. Our prayers are effective. God uses those prayers, which are acts of our love, as instruments of His grace of purification. He allows us and invites us to participate in their final purification by our prayers and sacrifices. This forges a bond of union with them. And no doubt the saints in Heaven especially offer prayers for those in this final purification as they await full communion with them in Heaven. It’s a glorious thought and a joy to see how God has orchestrated this entire process for the ultimate purpose of the sacred communion we are called to!